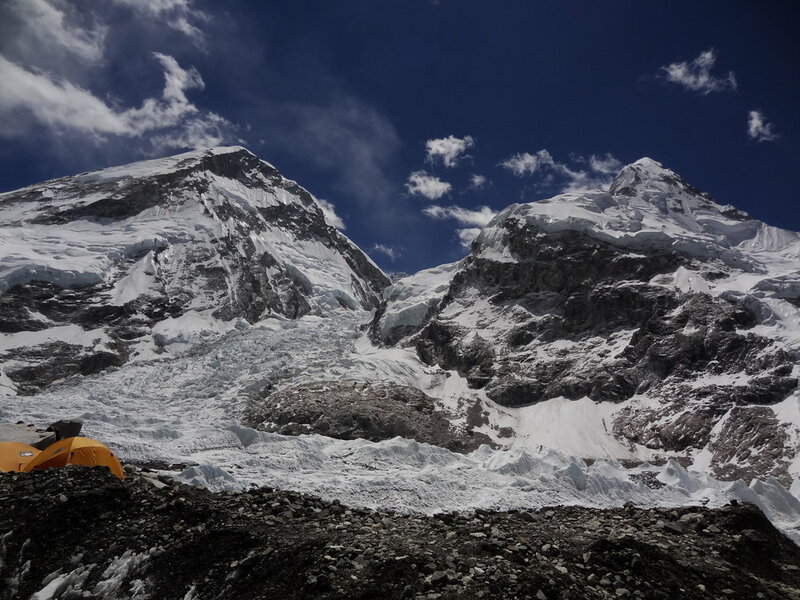 The expedition will be carried out at high elevation, including an ascent to the summits of Everest and Lhotse. We will all be working together to gather data, haul loads, and climb the mountain. John All is the expedition and scientific leader. Scientists and graduate students from the University of Colorado and Western Washington University will be working with Nepali graduate students from Tribhuvan University to investigate climate change impacts on the local Himalayan communities and environment. Our US, European, and Nepali science team includes Eric DeChaine, Director of the Pacific Northwest Herbarium at Western Washington University, Sébastien Lavergne, Laboratoire d'Ecologie Alpine, Université Grenoble Alpes, France, and Kamal Humagain, State University of New York, Potsdam. Our local partners in Nepal include Dr. Hriday Lal Koirala, chair of the Central Department of Geography at Tribhuvan University, Dr. Ram Kailash Prasad Yadav chair of the Central Department of Botany at T.U., and Dr. Jyoti Prasad Gajurel, an Ecological Consultant at the Nepal Rural and Advancement Committee in Kathmandu. If you haven’t already, please consider supporting our research and outreach by donating! Ecology: We will collect vegetation data in the lower elevation areas early in the expedition, to link with satellite imagery and compare to past expeditions and published studies. 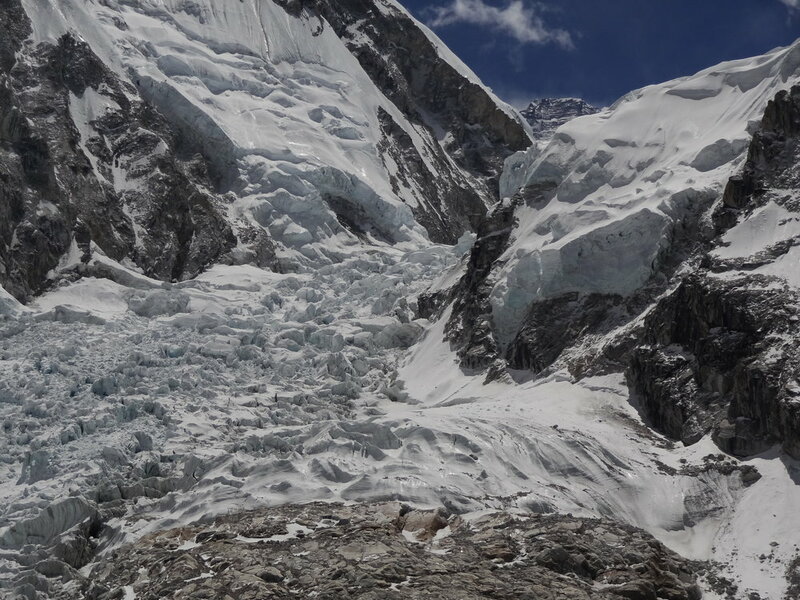 Glacial Retreat and Air Quality: Once we are settled into base camp, we will sample snow on the glacier for particulates (black carbon and dust), and we will continue taking samples all the way to the summits on Everest and Lhotse. Meteorology: We monitor ambient CO2 levels and meteorological conditions in our sample locations and at base camp. We will work with Sagarmatha National Park, Tribhuvan University in Kathmandu, and others to disseminate our findings. We will attempt to Skype with classrooms in the States, to involve them in our research, in near real-time. The expedition cost (for tents, cooks, fixed ropes, permits, etc.) includes everything from basecamp to basecamp. This is a barebones expedition (cost-wise), but is a very good deal for climbing an 8000-meter peak with the great history of this route and you will be helping students and scientists as we study the impacts of climate change on Mt. Everest. As a group, we will share tents, cooks, etc. and will work with other climbing expeditions for such tasks as fixing ropes. For base camp we will have two expedition-sized tents for cooking and lectures/science. We will share tents in the higher camps. A complete gear-list of shared and personal equipment is available. Meet in Kathmandu at the beginning of April. Spend ~10 days trekking to Everest Basecamp (5300 m), camping each night or staying in teahouses along-route. Click here for further information on our pre-climb research data collection treks. Base camp acclimatization and data collection for one week. Climbing to ever higher camps while shuttling gear and collecting environmental data and snow samples. Descents for rest, recovery, and to process samples. This will span about 5 weeks. Summit Mt. Everest and Mt. Lhotse, sample to the summit of both peaks. Process final samples at EBC for a few days. Rest and recovery. Return to Lukla in late May/early June. Return to Kathmandu in early June.